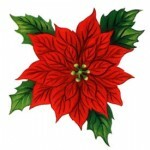 Christmas is the most decorated holiday of the year. 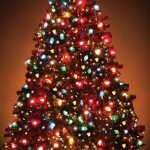 Everyone admires the lights that adorn houses and lawns in December and we are not an exception. We just like to do it with minimal effort. And if you are like us and think that putting Christmas lights on the outside of the house is too much work, you would like our choices. After researching various decorating ideas we chose the ones that are both easy to implement and still look great. We hope you find them appealing as well. 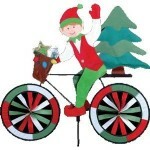 Here is our list of the 10 best easy Christmas decoration ideas. 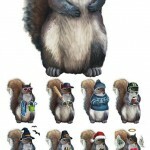 We also include links to specific products on Amazon to illustrate them. We are happy to help you make your search easy. We used to look at the nicely decorated neighborhood houses and sigh because ours was completely dark. We thought that coming home on a winter evening to the heartwarming sights of a glowing house would be wonderful. But the idea of climbing a slippery ladder did not appeal to us. We also did not feel like hanging lights all over the bushes. 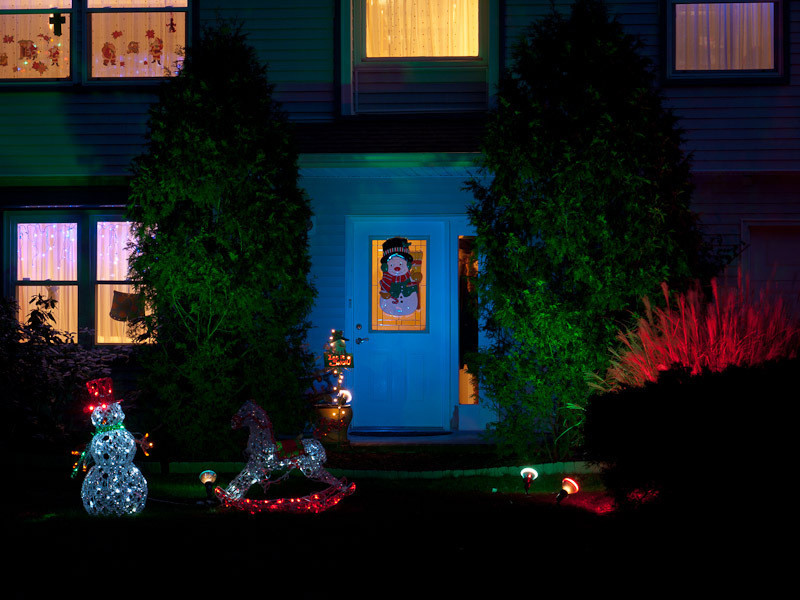 Once, on our evening walk we saw a house decorated with window lights. We thought that this was the greatest idea. 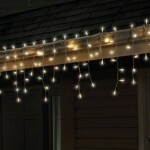 The lights do not have to be hanging off the gutters! Putting lights on the INSIDE of the windows must be much easier! We did not know where to find these lights but eventually noticed them in many stores: Walgreens, Target, Walmart, even grocery stores carry them. Our first lights were the white incandescent type but a couple of years ago we switched to the blue LED icicle lights. We attach them with invisible scotch tape to the window frame. Unlike the outside lights, we get to enjoy ours the whole evening. They bring coziness to the winter nights when we turn the regular lights off. 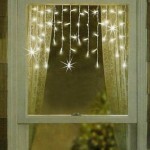 If you decide to go with window lights get a couple of spare strings because they vary from year to year. Also pay attention to the string length listed on the package. We have the 9.5 feet strings and because our double windows are a bit narrower than that we bunch them a bit. We also have one single window where we just fold the string in two. 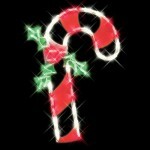 There are number of choices for icicle lights on the market. It is best to buy them from local stores so you can see what you are getting. We put a few links here just to give you an idea what to look for. We never found 4.5 feet strings in local stores but they exist on Amazon. 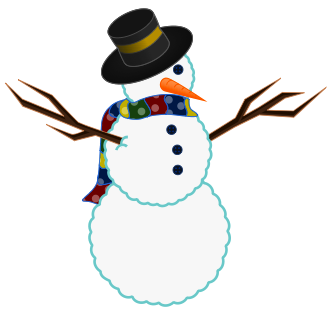 If you go with the warmer white/yellow or color glow icicle lights you can also add large lighted snowflakes, snowmen, Santas, etc. to the bottom panes of the windows. 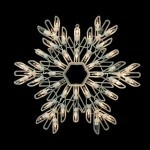 We see these lighted window decorations in the neighborhood and they look very nice. 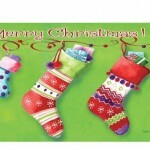 You can find them occasionally in local stores but the biggest selection is on Amazon. 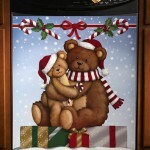 See more lighted Christmas window decorations. Typically, these window decorations come with short cords. If you have large double windows and want to string two together you may need to use a short extension cord. Luckily, there are 3-feet extension cords on the market which reduce the clutter significantly. They are available in white and tan colors. 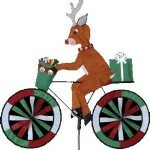 This is another idea we got from a neighborhood house. Turns out that the house appearance can be enhanced by a few flood lights. Only the magnets beat this as far as easiness goes. We place the lights close to the house because they won’t cast enough light if they are too far. 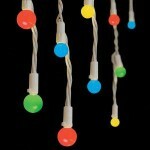 You can accentuate with the same color lights or mix the colors. If you have a front porch lighting it up with a couple of flood lights will produce a dramatic effect. Here is how our house looks with 4 flood lights: 1 blue in the pot for the door, 2 green for the bushes, and 1 red for the tall grass. The lit grass is a cheep and interesting decoration. We copied this idea from someone else: they even had 3 lights in the base of their giant grass clump and it looked spectacular. Before we discovered the flood lights we had just the snowman and the rocking horse on the front lawn. They always looked scrawny compared to the Christmas yard displays some people put. Now they no longer look lonely. 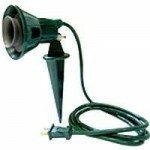 We use cheep green stakes for the flood lights which we buy from the local garden center or Home Depot. These stakes are not very durable though; we had two malfunction after one season. But this is a trade-off we can take for the great effects they provide. 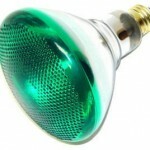 In addition to the incandescent bulbs, there are halogen and compact fluorescent bulbs in various colors. 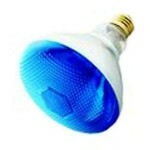 We have tried only the incandescent ones (they are in the picture above) and are happy with them. 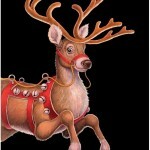 There are people who put elaborate Christmas yard displays with deer and lights on every bush. It is spectacular but we are not the type. If you never had one of those deer you should know that they tend to break after a few seasons. It might be wiser to buy not very expensive ones from a local store. BJ’s and Costco sell some. The outdoor lights are not exactly durable, either. Also they are not easy to remove from the bushes at the end of the season. That’s why some people never bother to take them off. This tactic works for trees but bushes need trimming occasionally and the lights will have to be removed eventually. 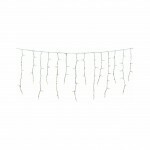 If you still feel like checking a few lights the best looking ones for bushes are the net lights. 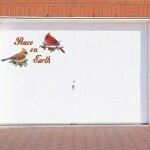 For metal garage doors these magnets provide easy and spectacular decoration. The best ones are offered by Collections Etc. They sell magnets for other occasions as well. You can see them all on Amazon. 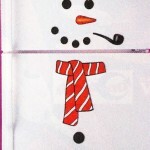 We have a two door garage so we add the Snowman refrigerator magnet on the second door. 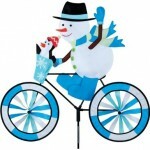 It is sturdy and can be used outdoors as well. We have been using ours for 4 years now, each year having it displayed for about a month and a half. It still holds very well and has not faded. We even purchased a second one because these things tend to disappear from the market at some point. 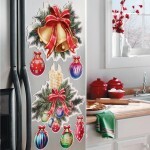 These magnets are of very good quality with full magnetic backing. They do not interfere with opening and closing of garage doors. 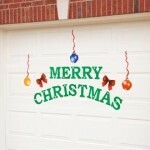 Be careful with other sources of garage magnets because some of them require gluing magnets on the back of the decorations, while others marketed as garage door magnets are actually decals. 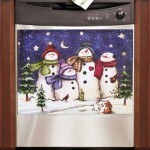 There are many dishwasher art covers but we like those offered by Collections Etc. 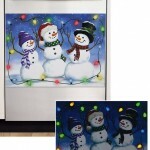 They are of good quality with magnetic backing throughout. And they have the best prices. Some of them even come in two sizes. 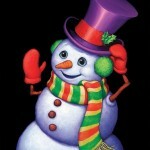 They surely bring-up the feeling of Christmas. 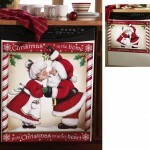 If you like the idea of dishwasher covers there are many generic ones in addition to the seasonal. We have a few dishwasher covers and store those out of season on a refrigerator downstairs. Another cool place to put them are the washer and dryer. The first two magnet sets are so large that they can be used on garage doors as well. Although originally offered by Collections Etc., they are now sold by other merchants. 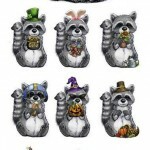 The cute squirrel and raccoon are true refrigerator magnets and can be dressed-up for every season with smaller magnets. 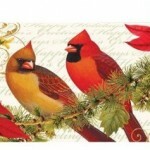 There are many adorable mailbox covers for Christmas. They come in two styles. The ones labeled as MailWrap (or just Wrap) attach securely with a strong magnetic strip along each side of the cover. The ones listed as Magnetic are usually with full magnetic backing. If you have a preference make sure your read the descriptions. Also pay attention to the sizing as some covers are made for oversized mailboxes. We list a few here to get you started. Matching garden flags are sold for some of the covers as well. 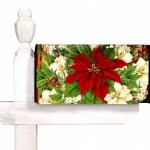 See more Christmas mailbox covers. 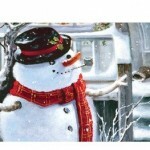 There are also seasonal individual magnets for each side of the mailbox if you prefer that. We prefer the lighted window decorations for Christmas but can see the appeal of these plastic sheets. We have never seen them in reality, though. We did not even know they exist until searching for the Halloween ones. Judging by the customer pictures on Amazon they look great. 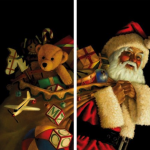 The Christmas translucent window decorations have black background and we think that they might be blocking a lot of daylight. But if you don’t worry about that they make for really easy and fast decoration. 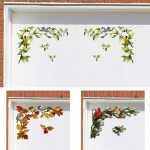 All you need to do is tape them to the window. 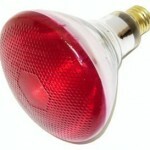 The regular lights in the room will illuminate them. Some of them are single window design, while others are double window design (for 2 windows). 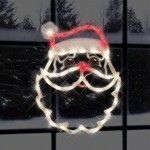 Check out the newest Christmas translucent window decorations on Amazon. These spinners are made out of durable UV resistant nylon and are fairly large. 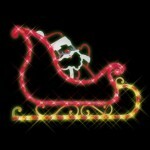 They are amusing to watch and add to the holiday cheer. 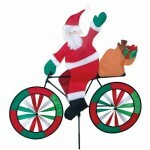 There are more bicycle garden spinners available.